Ammstar offers an alternative to dealership servicing. We’re driven to provide dealership-level service without the price tag – how do we do it? This allows us to keep your pride and joy performing the way it was always meant to – without unnecessary price hikes. Instead of making a booking with the nearby Mercedes-Benz dealership (and paying a premium for it), put your trust in Melbourne’s largest independent Mercedes-Benz servicing centre – Ammstar Exclusive. The three-pointed star carries with it an image of exclusivity and quality. Many assume maintaining that exclusivity and quality requires 100% genuine Mercedes-Benz parts. In addition to genuine Mercedes-Benz components, Ammstar also uses OEM (Original Equipment Manufacturer) components in your Mercedes. This does not mean dodgy aftermarket parts! Rather, OEM components are identical parts manufactured by the original supplier, just without the Mercedes-Benz branding… or the associated mark-up! This is how we’re able to offer dealership-quality service at such a low price point. Over the years, we’ve built strong relationships with the original manufacturers of brake pads, oil filters, suspension components and more. In addition to playing your music, they also provide an in-depth look at the overall health of your engine, hydraulics and other systems – this is what powers Mercedes-Benz Service ASSYST. You won’t receive this type of service from the mechanic on the corner! 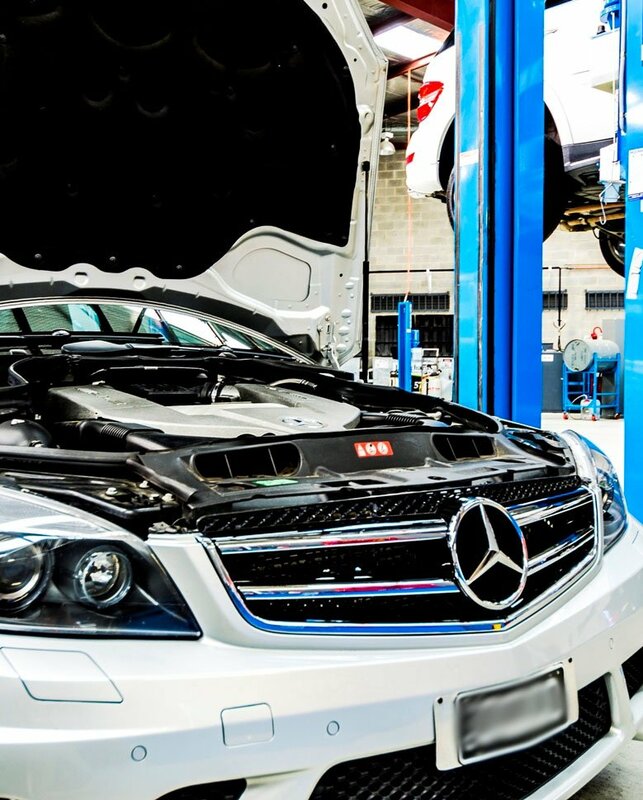 The only place you’ll find it is with a Mercedes-Benz diagnostic specialist like Ammstar.